Amber joined Voyage in 2006 and is responsible for servicing clients’ accounts and helping to coordinate the investment planning process. Prior to joining Voyage, she worked at Advance Capital for six years where she managed client accounts. 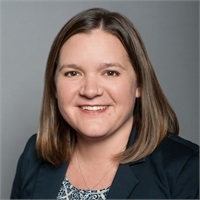 Amber graduated from Western Illinois University with a bachelor’s degree in Business Management and Finance, and then earned a master’s degree in Accounting and Financial Management from the Keller Graduate School of Management. Amber is a Cubs fan, enjoys reading, and spending time with her husband, Joe, and their daughters, Maggie Liddy and Annie at their home in Wauconda.